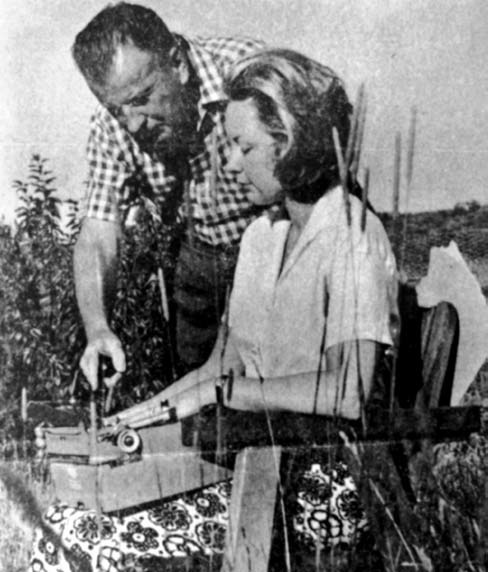 Harold Seymour (1910-1992) and Dorothy Seymour Mills (1928- ): Dr. Harold Seymour was a stickler for referencing his doctorate when addressing him, it may have been because his was the first ever awarded in connection with a thesis on baseball history. The Rise of Major League Baseball to 1891 was accepted by Cornell University in 1956, but it is his subsequent work, co-authored with wife Dorothy Z. Seymour (today Dorothy Jane Mills), that won for them the gratitude and debt of the thousands of scholars who have followed in their path. The Seymours' serious approach and lively prose is evident in their three-volume history published by Oxford University Press, each bearing the title Baseball: first, The Early Years (1960), next, The Golden Age (1971), and finally The People's Game (1991). No one may be called a student of baseball history without having read these indispensable works. Click here to read John Thorn's profile of the Seymours in the Summer 2010 edition of the Baseball Research Journal. Click here to read our interview with Dorothy Seymour Mills in June 2011.